Number of Sleeping Rooms/Suites: 192/5 Number of Meeting Rooms: 12 Total Meeting Space: 16,226 sq. ft. Indoor Session Capacity: 300 persons, 4,000 sq. ft. Outdoor Session Capacity: 200 persons, 6,600 sq. ft. Banquet Capacity: 300 persons, 4,000 sq. ft. 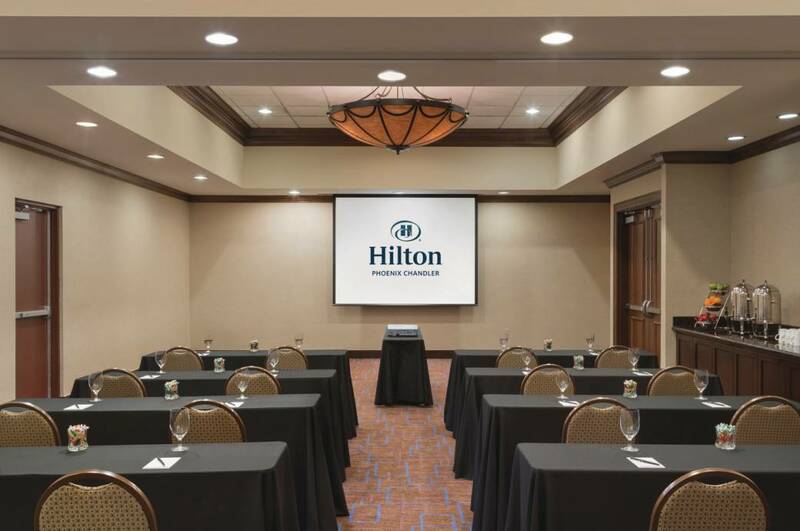 Distance to PHX Sky Harbor: 16 miles Distance to Phoenix Mesa Gateway Airport: 17 miles Be near it all when you stay at Hilton Phoenix Chandler. 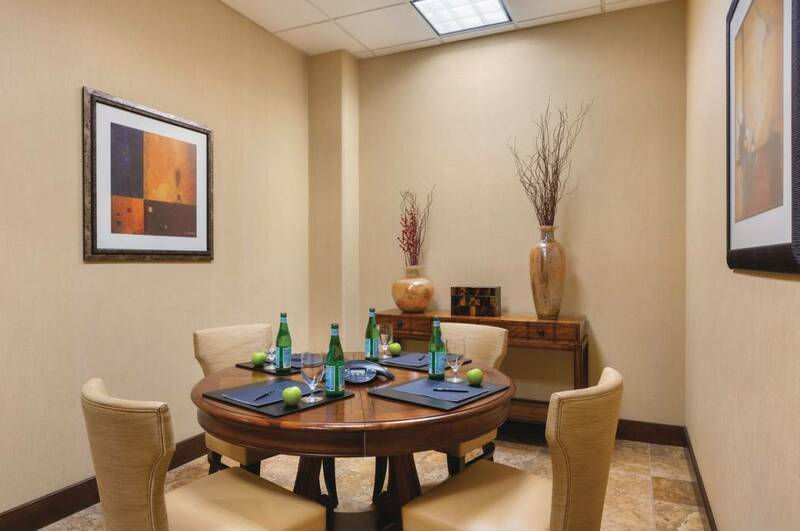 Our award-winning and recently updated hotel has a prime location near Loop 101 and Loop 202 - moments from Chandler Fashion Center and close to Intel, Microchip, NXP and many other corporations. We have your favorite amenities like free WiFi, a restaurant and bar, outdoor pool and whirlpool, fitness center, Executive benefits, and an area shuttle. Our Chandler hotel is pet-friendly, too. 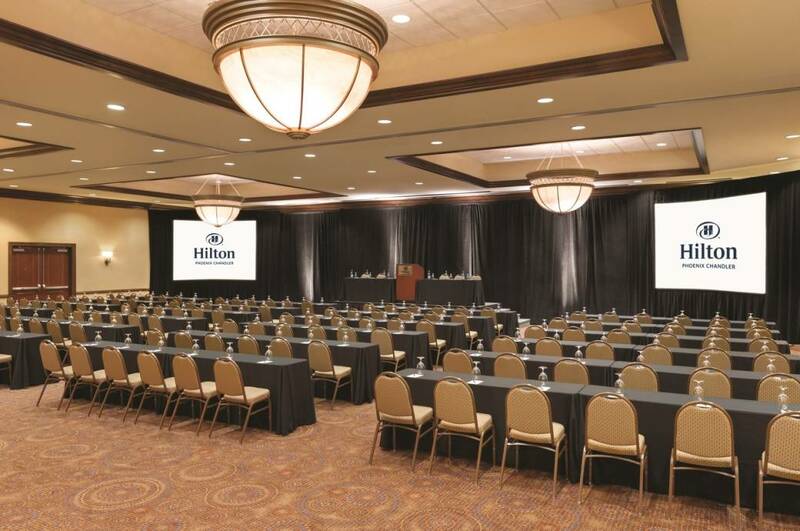 Description Be near it all when you stay at Hilton Phoenix Chandler. 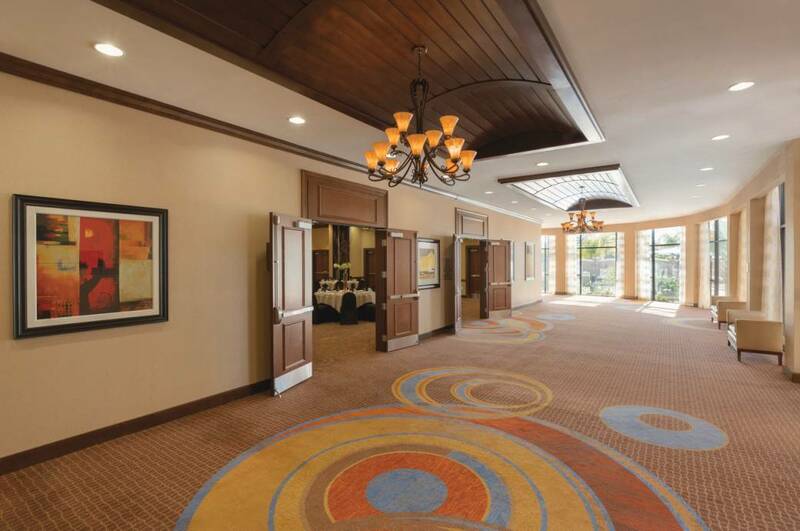 Our award-winning and recently updated hotel has a prime location near Loop 101 and Loop 202 - moments from Chandler Fashion Center and close to Intel, Microchip, NXP and many other corporations. We have your favorite amenities like free WiFi, a restaurant and bar, outdoor pool and whirlpool, fitness center, Executive benefits, and an area shuttle. Our Chandler hotel is pet-friendly, too.